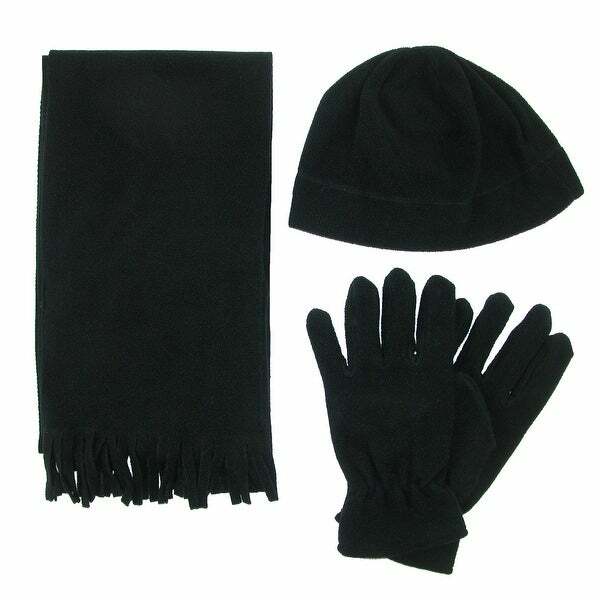 Keep warm this season with this convenient 3-piece winter set! No need to try and match things up, this 3-piece set has all your warm, winter needs. It features a versatile 62-inch-long scarf, durable anti-pill material to keep your items looking their best, and warm fleece to help protect your head, ears, hands, and neck from the cold. Whether out and about in the cold or enjoying the festivities, this 3-piece set has you covered with warmth. Very nice set. You can't beat the price. The fabric is nice and soft.